"The survivors of the nuclear fire called the war Judgment Day." He's back! 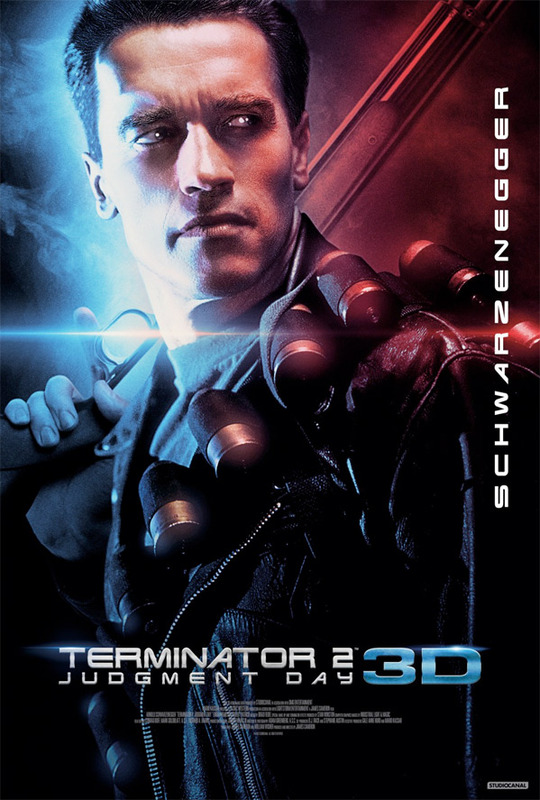 Distrib Films US has unveiled a brand new trailer for the upcoming re-release of James Cameron's Terminator 2: Judgment Day in 3D. Yes, we've been reporting since last year that T2 was going to be released in 3D later this year. The 3D upgrade was overseen by Cameron as well as DMG Entertainment and StudioCanal, so rest assured it will be top quality. This trailer packs in some of the best lines and the coolest moments, and I'm sure it looks much better in 3D, but it's only in 2D online for now. This sci-fi action classic stars Arnold Schwarzenegger, Linda Hamilton, Edward Furlong, Robert Patrick, Earl Boen, and Joe Morton. Fire it up below.